Collection of CBC articles and some important questions not asked or left unanswered. Archive of this and the related article plus RCMP statements below if needed. CBC previously said RCMP had handed over everything it had gathered after two and a half years of investigating and charges were being sought. CTV said the same thing but later r the part about charges being sought and removed Katz from the article. The CBC article was updated after the RCMP revised its original statement but they included them both and issued correction. The original short link to the article stopped working but the full link is active. City of Winnipeg wants RCMP to hand over documents in police HQ investigation. No word on if this approved or the lawsuit. The City of Winnipeg has asked the courts to compel the RCMP to produce copies of all information, documents, notes and records the Mounties seized from Caspian Projects as part of a criminal investigation. Similar was asked by Canada post but denied. With the recent news of allegations of PMO pressure on the Justice Minister Wilson-Raybould before she demoted to cut a deal to avoid criminal charges against Montreal based SNC-Lavalin it makes one wonder if pressure has been put on the MB Justice Minister in the Katz, Sheegl and Caspian investigations. Was there a discussion by Premier Brian Pallister with then Justice Minister Heather Stefanson about these allegations and pending charges? Pallister has said the government will not call a provincial inquiry as requested by Mayor Bowman or comment while the RCMP investigation is ongoing. That was over two years ago. One would wonder after other serious allegations in the past against Katz involving the failed Crocus Fund, his Gold Eyes and others plus his two terms in office. He also had close business ties with Sheegl the CAO that was appointed who was later suspended but then allowed to resign and collect $560,000 in salary, severance and public paid pension. Also why did Sheegl approve these payments to continue? To many unanswered questions. The City of Winnipeg knew about problems with the Winnipeg police headquarters but continued to pay the contractor before they were all fixed, according to emails and a payment schedules obtained by CBC News. CBC News has learned RCMP will be seeking charges against several people in connection with the construction of the Winnipeg police headquarters building and the Canada Post Mail Processing Plant near the Winnipeg James Richardson International Airport, according to an RCMP statement sent to CBC News on Thursday. “While criminal charges will be sought against several individuals, the RCMP are not in a position to make any further comment,” said Tara Seel, RCMP spokesperson. Late Friday afternoon, the Mounties said while the statement regarding possible charges was accurate it was “premature” because the investigation is still ongoing. RCMP cautioned their position could change by the time the police probe is complete. This comes more than two and a half years after the Mounties first began to probe criminal allegations in the police HQ building project, and more than 18 months after they began looking into the Canada Post mail plant. “The RCMP are near completion of their investigations into the Winnipeg Police Headquarters and the Canada Post Mail Processing Plant,” said Seel in a statement to CBC, but she would not give a specific timeframe. The Mounties would not reveal who could be facing charges, but search warrants and production orders obtained by CBC News have named contractor Armik Babakhanians of Caspian Construction, office manager Pam Anderson, ex-City of Winnipeg CAO Phil Sheegl, consultants Peter Chang and Patrick Dubuc. All were suspected in various criminal offences ranging from fraud to breach of trust in court documents filed throughout the investigation. There’s no indication whether the anticipated charges are related to those suspicions. No charges have been laid and none of the allegations have been proven in court. As for why it’s taken this long to look into these two construction projects, RCMP said they had to be thorough in their probe. “These investigations are very complex in nature and have required interviews with over 130 witnesses. In addition, the RCMP have executed at least 15 search warrants and production orders under the Criminal Code. The volume of evidence that has been collected in these investigations has impacted the time required to complete both investigations and disclose the evidence,” said Seel. RCMP executed their first search warrant on Dec. 17, 2014 at Caspian’s office in south Winnipeg. In court documents they said officers seized approximately 46 bankers boxes and four filing cabinets of documents, representing thousands of financial documents, computer data that amounted to over six terabytes including 200,000 emails and hundreds of thousands of financial documents. In June 2015, police raided an office inside the WPS HQ building occupied by engineering firm Adjeleian Allen Rubeli (AAR), which worked on the HQ construction project. There they seized four bankers boxes of documents, according to an August 2015 court document. In June 2016 RCMP searched a Transcona warehouse owned by a numbered company controlled by Armik Babakhanians, the president of Caspian Construction, where they seized eight bankers boxes of records related to the construction of the Canada Post Mail Processing Plant. The Mounties also got a number of production orders forcing financial institutions to hand over information and records on at least 14 different bank accounts. RCMP obtained a court order from an Ontario judge for Caspian’s backup computer data that an Ottawa-based company maintained on its servers, which — according to court records — amounted to approximtely 1.2 terabytes, or nearly a half million files. To give the courts a better idea of how much work that would amount to, RCMP said an estimated 85,899,345 pages of word documents fill a terabyte. “The problem is when you’re dealing with terabytes of data as they’ve referred to, is if you print it all out and stack it up it would be about to the CN tower in terms of height so there’s so many documents to go through,” John Sliter told CBC over he phone from his home in Ottawa Ontario. Sliter is a retired RCMP superintendent of capital markets and financial crime programs, who now works as a consultant. He did not work on either the WPS HQ or the Canada Post mail plant investigation but as a former RCMP commercial crimes investigator he agreed to give some insight into these types of cases. RCMP outlined their investigative team in a December 2015 Ontario court document. It included 10 Mounties, three of whom were seconded from the Federal Serious Organized Crime Unit. They also had four civilians, an analyst and a forensic accountant working on the two fraud cases. The Mounties said a member of the D Division Technical Crime Unit also continued to assist in the investigations. “Someone has done some considerable planning. Someone has put adequate resources behind the investigation and that’s proceeding,” said Sliter. “There are no hard and fast rules for how long an investigation can take,” said Scott Newman, spokesperson for the Criminal Defence Lawyers Association of Manitoba. He said if a charge is laid it will ultimately be up to a judge to decide if the police investigation took too long. “They are going to look at the complexity of the investigation, they are going to look to see how many documents there are. Are we talking tens of thousands of documents? How many witnesses are there? How many experts are there?” said Newman. 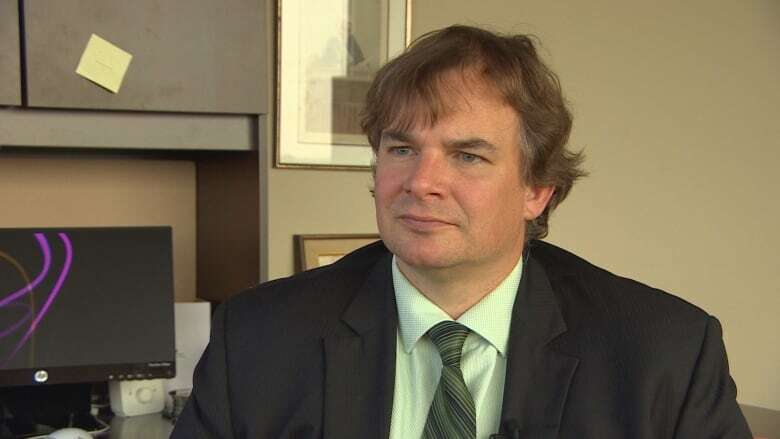 “It’s difficult to know until you get in front of a judge and you make your arguments.” He added the Supreme Court of Newfoundland and Labrador Court of Appeal recently ruled a 10-year investigation was reasonable. Chang and the lawyer representing Sheegl declined comment. Dubuc, Babakhanians and Anderson did not immediately respond to CBC’s request and have never spoken to CBC about the allegations made by the RCMP throughtout the investigation. In the past, Sheegl’s lawyer has said his client has done nothing illegal. Chang previously told CBC News he was cooperating with the investigation. An earlier version contained the following RCMP statement sent to CBC News on Thursday. “While criminal charges will be sought against several individuals, the RCMP are not in a position to make any further comment.” Late Friday afternoon, RCMP spokesperson Tara Seel said while the statement is accurate it was “premature” to say charges will be sought because the investigations are not complete and cautioned that anything could happen between now and then. The original RCMP statement also contained the line “disclosure to Public Prosecutions has been ongoing for several months,” but was removed from comments issued to media outlets Friday afternoon. We initially reported that the Supreme Court of Canada ruled a 10-year investigation was reasonable. In fact, the ruling was made by the Supreme Court of Newfoundland and Labrador Court of Appeal. to Public Prosecutions has been ongoing for several months. least 15 search warrants and production orders under the Criminal Code. individuals, the RCMP are not in a position to make any further comment. is not complete. Any discussion of charges at this point is premature. I apologize for speaking to that. 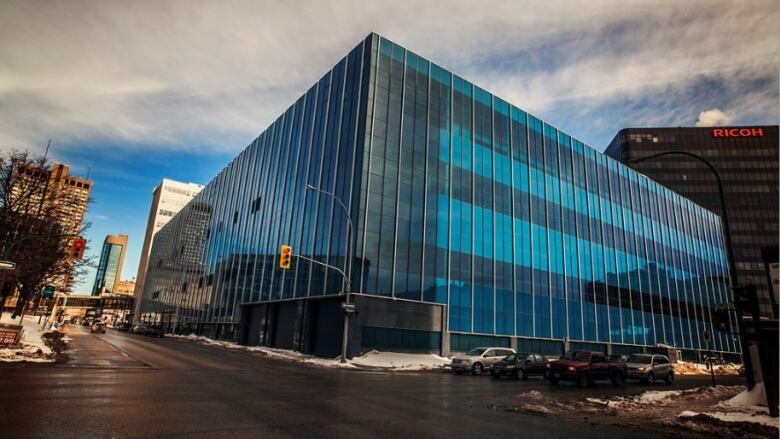 The RCMP investigation into Winnipeg’s police-headquarters project is entering its fifth year with no indication as to when it will conclude or whether any charges will be laid. 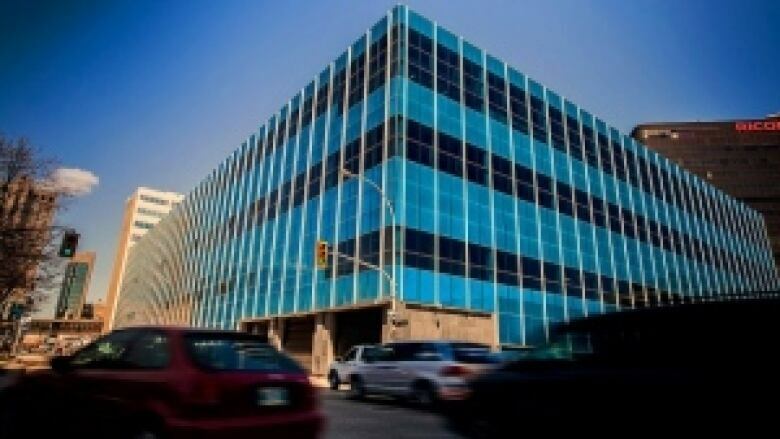 On Dec. 17, 2014, the RCMP raided the McGillivray Boulevard offices of Caspian Construction, the primary contractor on a project that saw Canada Post’s former downtown Winnipeg warehouse complex converted into the new home of the Winnipeg Police Service. On the first day of the raid, the RCMP said they were conducting a criminal investigation of the police HQ project. That project cost the city $214 million in real estate and construction charges by the time it was completed in 2016. At the time, Babakhanians deferred comment to his legal counsel. He did not respond to requests for comment last week. In 2015, the RCMP told a judge they were investigating allegations Babakhanians offered police-HQ project manager Ossama AbouZeid a $600,000 secret commission to benefit Babakhanians and an engineering subcontractor. AbouZeid told CBC News in 2016 he never asked for the commission, was never offered one and never received one. “In all my working life I have never asked for monies outside my contractual entitlements,” AbouZeid said in a statement at the time. The investigation later involved breach-of-trust allegations. In information provided to a judge in 2016 in order to obtain bank records, the Mounties alleged former Winnipeg chief administrative officer Phil Sheegl provided inside information about the city’s new police headquarters to Caspian and received $200,000 — and that Sheegl then shared the money with Sam Katz, Winnipeg’s former mayor. Lawyer Robert Tapper, representing both Sheegl and Katz, acknowledged in 2017 that Caspian owner Babakhanians paid Sheegl and that Sheegl paid Katz, but denied the RCMP’s breach-of-trust allegations. Tapper said Caspian’s payment to Sheegl was part of a $327,000 Arizona real estate deal his clients made with Babakhanians in May or June 2011. Tapper declined to respond to requests for comment last week. None of the allegations made by the RCMP have been proven in court. No charges have been laid as a result of Project Dalton. “The investigation is ongoing,” RCMP spokesperson Robert Cyrenne said last week. He could not say when it will wind up or whether the Crown is contemplating any charges. The City of Winnipeg is continuing to co-operate with the investigation, said Jeremy Davis, a spokesperson for Mayor Brian Bowman. “We look forward to the outcome of the RCMP’s investigation,” said David Driedger, a spokesperson for the city’s public service. This entry was posted in Financial, justice, News and politics and tagged breach of trust, bribery, caspian, crimes, fraud, payout, phil sheegl, realestate deal, sam katz, winnipeg police head quarters. Bookmark the permalink.